We’d love to have you visit Emory College and Oxford College, either when you travel to Atlanta, when we travel to your city, or by virtual visit. Daily visit options are offered year-round. During a visit to either campus, you will be able to take a campus tour and attend an information session hosted by admission staff. Depending on the time of year, you may also be able to attend a class or check out campus dining options. 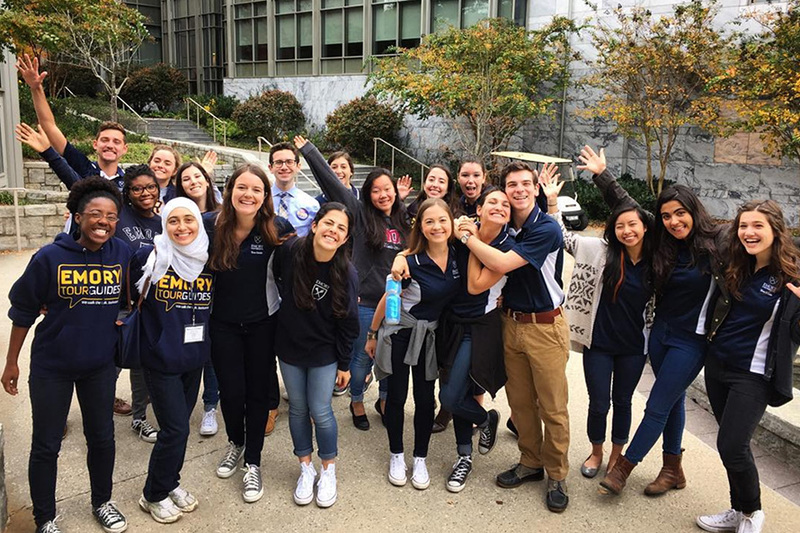 If you're not able to visit our campuses, you can visit with Emory when our admission counselors travel to your city. Take a look at our fall and spring travel plans through Emory in Your Area, and set up a time to visit with us when we're near you. 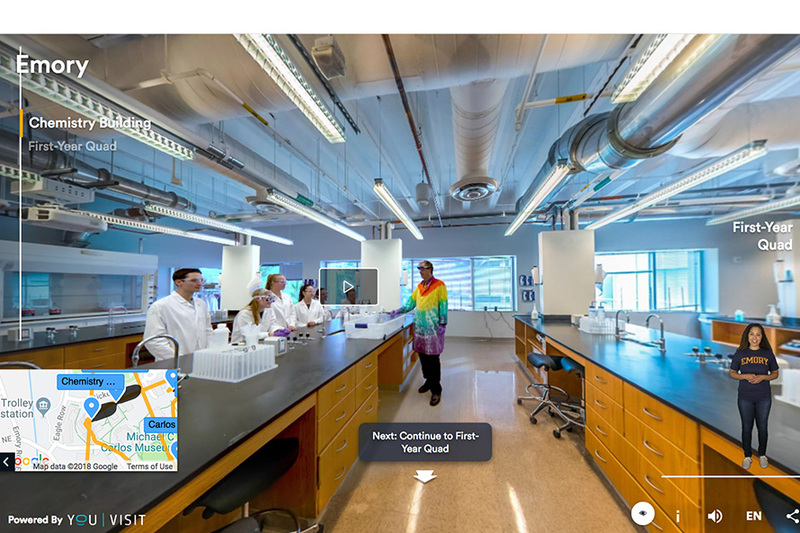 Visit Emory College and the Atlanta campus right now using our virtual tour. 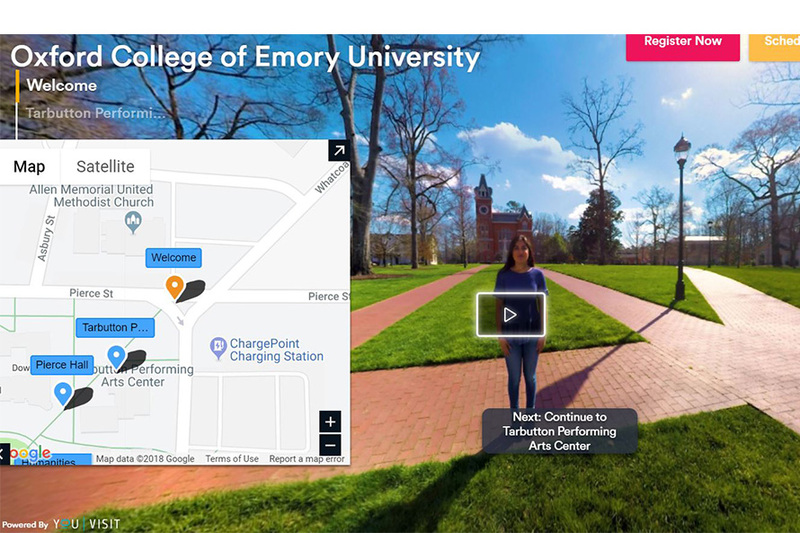 Take a virtual tour of Emory College. Visit the Oxford College campus in Oxford, Georgia, using our virtual tour. Take a virtual tour of Oxford College. Open House programs are held in the spring and fall, and they provide an in-depth look into our academic and student life at both Oxford College and Emory College. 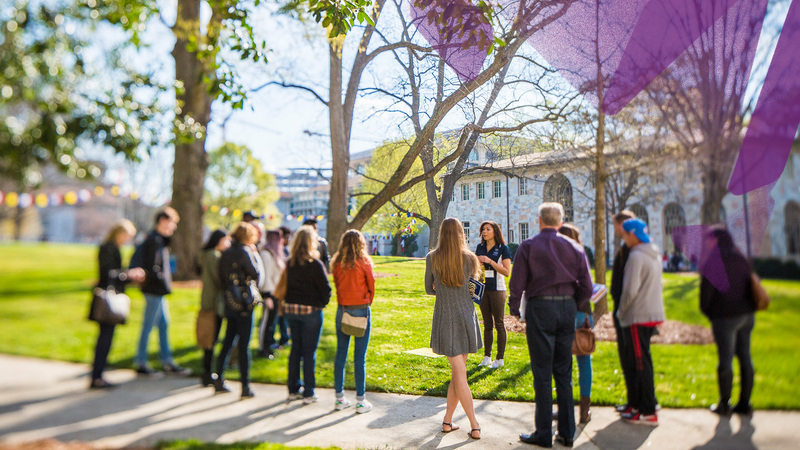 Find dates, times, activities, and scheduling information for group visits to Emory College on the Atlanta campus and Oxford College in Oxford, Georgia. We invite you to make the most of your time during a campus visit. Pick up a copy of our student newspaper, the Emory Wheel, talk to students and faculty, and eat in a dining hall. You can also explore the academics you're interested in by attending a class or taking a tour of an academic department of interest. Visiting a class is a great way to experience academic life on campus. Class visits are available early February through the end of April, and in October and November. For more information, click here. Oxford faculty enjoy having visiting students experience their classes first-hand. Class visits are available mid-October through the end of April. The registration calendar reflects available dates, with additional dates being added at the beginning of each semester. 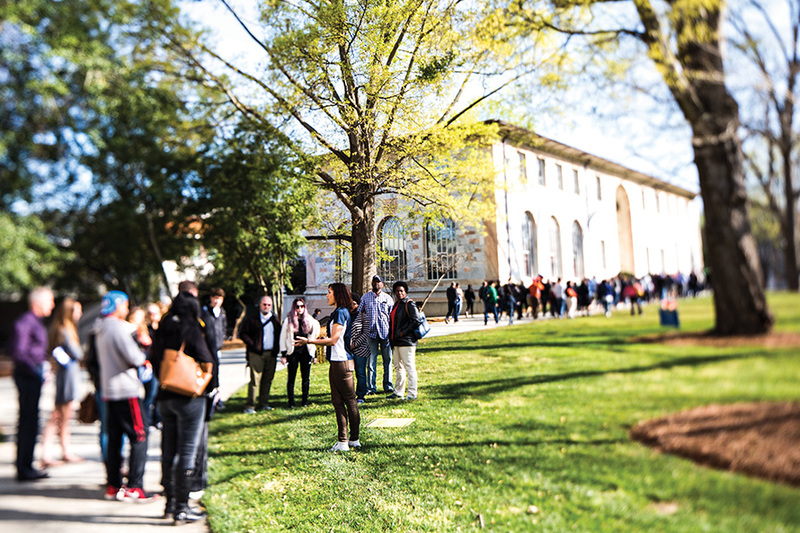 While visiting Emory College in Atlanta, you have the option to connect with other academic departments. Our office is unable to schedule your tours with these departments, but we encourage you to connect with them on your own. 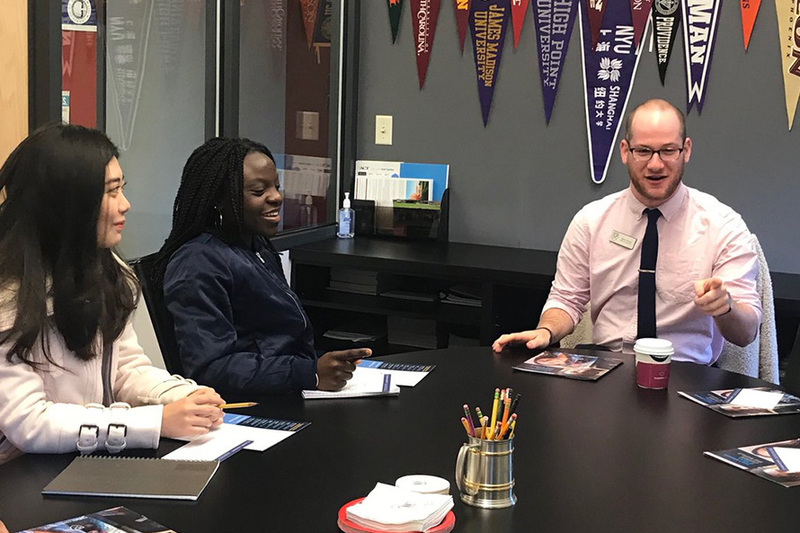 Information sessions with a BBA admission staff and student-led tours are available on Mondays and Fridays at 3:15 p.m. during the academic year. During the summer, Goizueta staff are available by appointment only. For more information and to arrange a tour, please visit the BBA website. 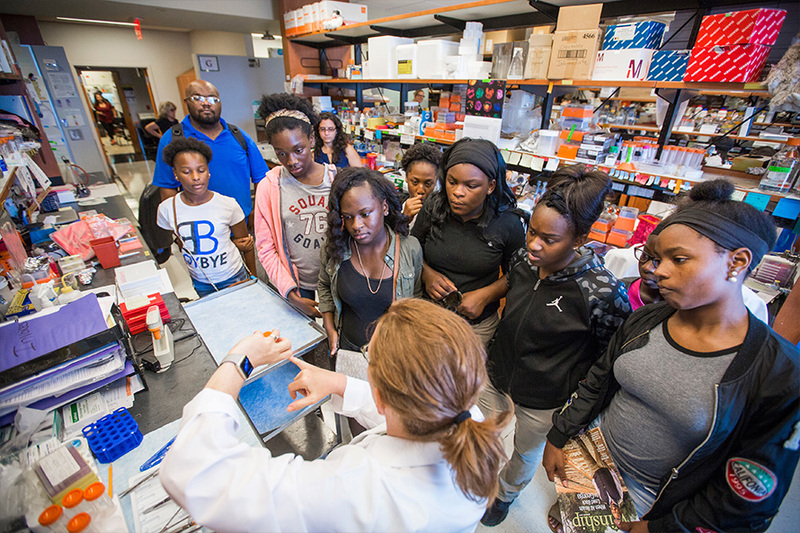 Student-led tours are offered Fridays at 10:00 a.m. and 2:00 p.m. For more information and to arrange a tour, visit the School of Nursing visit website or call them directly at 404.727.7980. Please contact Matt Jordan, academic administrator, at 404.727.6751 or matt.jordan@emory.edu to learn more about theater at Emory and to schedule your visit. Opportunities exist to tour the studios and theater, attend a dance class, speak with current dance students, or meet with a faculty member. To arrange a visit, please complete this online form at least two weeks in advance of your visit. Tours of the Schwartz Center for Performing Arts are offered Monday through Friday, 9:00 a.m. to 4:00 p.m., except university holidays. Please call 404.712.2300 to schedule your tour.